How much experience do I need to be a travel nurse? This is one of the most frequently asked questions. Let me update my usual answer to reflect today’s market. There was a time, not long ago, that there were more travel nursing jobs then there were RNs who were available to take a travel nursing assignment. When the economy went South the travel nursing industry was hit hard. Fewer nurses were retiring as families struggled with the economy and their retirement portfolios. Fewer hospitals were able to pay the premium expense of having travel nurse positions because their funding was being subjected to stricter oversight. The supply of nurses rose as unemployed people gravitated towards nursing as a career. Nursing schools were filled to the brim and now they are graduating. In short, the supply and demand equation changed. Travel nursing agencies amped up their base requirements because they could be more picky. Classic supply and demand. In times past facilities looking for travel nursing candidates required a minimum of one year of clinical experience. In this new era they seem to be leaning towards two years and some of them even want three. I think this will retract somewhat as the economy evens out and the old forces come back into play but for now I’d have to say two years is the new basic requirment. 1. Start gathering information well before you want to travel. If your experience is not up to snuff right now it is still a good idea to get started “lining your ducks up” so that when you do meet the experience requirements you are equipped with all of the right information. 2. Find out the specialties that travel nursing agencies have opeings for. Experience is fine but if it is in something there is not a high demand for it will be harder for you to land a travel nursing job in the location you want. 3. 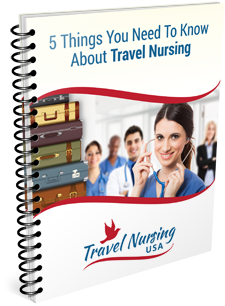 Get to know the travel nurses at your existing facility and pump them for information. Ask about their agency. Ask about the negatives…..and the positives. Finally, keep reading this blog and others like it. It will give you a perspective you will not get from only talking with local nurses. You may want to subscribe to my weekly newsletter listing some of the newest, hottest travel nursing jobs emailed to you on a weekly basis. And you can follow me on Twitter (conradlopez) for even more information.